Scottish author Iain Banks has revealed today that he has late stage gallbladder cancer and is unlikely to live for more than a year. Iain Banks, 59, posted a message on his official website saying his next novel The Quarry, due to be published later this year, would be his last. The writer’s novels include The Wasp Factory, The Crow Road, Complicity and the Culture series. The statement said Iain Banks’ health problems came to light when he saw his doctor, suffering from a sore back. Iain Banks was diagnosed with jaundice, before further tests established the full extent of his illness. The writer said in the same statement that he had asked his partner Adele to marry him and was now on a short honeymoon. Iain Banks, who lives in North Queensferry, Fife, said he had cancelled all future public engagements. “The bottom line now, I’m afraid, is that as a late-stage gall bladder cancer patient, I’m expected to live for ‘several months’ and it’s extremely unlikely I’ll live beyond a year. The author said the disease had spread to both lobes of his liver, and possibly his pancreas and lymph nodes. Iain Banks added that there was little chance of surgeons being able to remove the tumors because of how far they had spread. Born in Fife, Iain Menzies Banks studied at Stirling University before publishing his first novel, The Wasp Factory, in 1984. He has alternated between mainstream and science fiction novels, which he wrote under the name Iain M. Banks. In 2008, Iain Banks was named one of the 50 greatest British writers since 1945 in a list compiled by The Times. News of his illness was described as “terribly sad” by First Minister Alex Salmond. 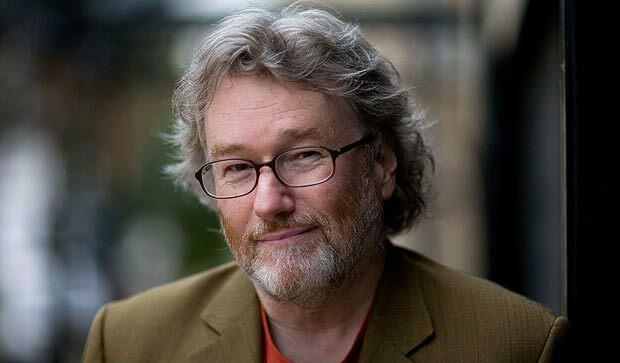 A website, called Banksophilia, has been created for friends and fans to leave messages for Iain Banks.